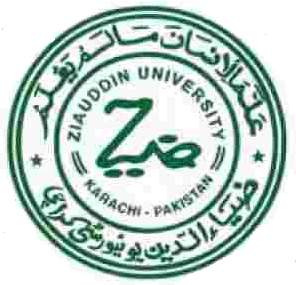 The Ziauddin University (abbreviated as ZU), is a private research university located in the North Nazimabad suburb of Karachi, Pakistan. The university is honored and named after the renowned educationist, Ziauddin Ahmad. With a strong emphasis on medical, health, and biomedical engineering, the university offers undergraduate, post-graduate, and doctoral programs. The university’s official mission seek to commit to have a futuristic approach in imparting knowledge, skills and service rendered with the highest sense of moral uprightness and social responsibility to the nation, region and the world at large. In 1996, soon after the establishment of Ziauddin Medical University in 1995, negotiations started with the adjoining squatter settlement of Sikanderabad (population of about 30,000) to start a Primary Health Care service for the community. The Sikandrabad Primary Health Care Centre (SPHCC) was born out of those discussions, and it now functions as the main avenue for civic engagement by the university. The SPHCC provides the university with a setting where undergraduate and postgraduates can acquire the skills to manage effectively and efficiently the health problems of individuals and families in community setting. In return the community is getting health coverage at affordable rates. Relevant demographic and health data of all household members is being maintained and computerized. This longitudinal data will eventually help understand the dynamics of disease in the community. The program is a prototype of partnership between academia, and the adjoining community.